A Mojito is light rum, lime, mint and soda. A Dark & Stormy is dark rum, lime and ginger beer. 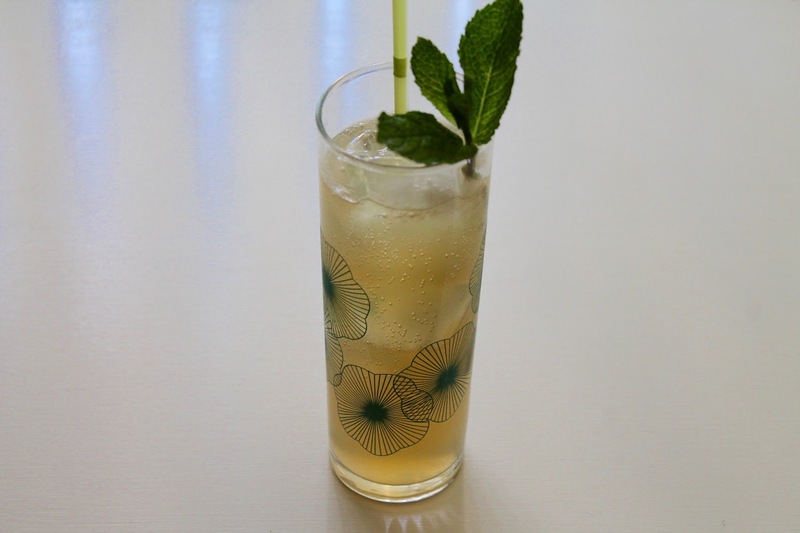 With you consider this Stormy Mojito a gingery mojito or a minty Dark & Stormy, the idea was to combine what I like about both of these refreshing drinks into one sippable summer tipple. In a cocktail shaker, combine the mint and lime juice and gently muddle the mint. Add the rum and dry shake (i.e., with no ice). Fine-strain (i.e., with a fine-mesh sieve) into a collins or highball glass filled with ice, top with ginger beer and serve with a straw garnished with a mint sprig.